With the advancement of systemic therapies leading to an increase in survival, and the improvement in imaging’s ability to detect smaller lesions, the incidence of brain metastases is expected to rise. Surgery and radiation remain the main tools in the treatment of brain metastases. In the postoperative setting, the latter can be administered to the whole brain (i.e. WBRT) or in one or few high-dose fractions to the surgical cavity (i.e. radiosurgery). This addition of radiation to the surgical cavity, whether by WBRT or radiosurgery, has been shown to improve local control. However, both adjuvant treatments have been associated with very different side effect profiles. 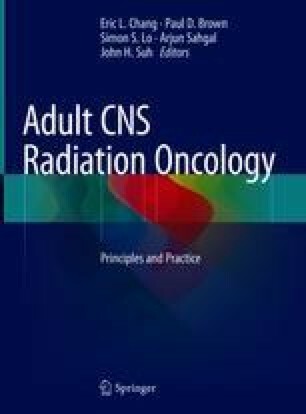 WBRT has been associated with global neurotoxicity, while radiosurgery (SRS) is associated with a risk of local radionecrosis. Decisions regarding adjuvant treatment thus have important consequences.